Foundation course for the lifting, fixing and adjusting of light to medium loads. Covering the skills required to raise and lower loads using rope and pulley based equipment. With practical and theory based learning, candidates will be able to assess, plan and carry out rigging and lifting operations within LOLER. This course is aimed at industries such as telecoms, stage rigging and wind turbine. 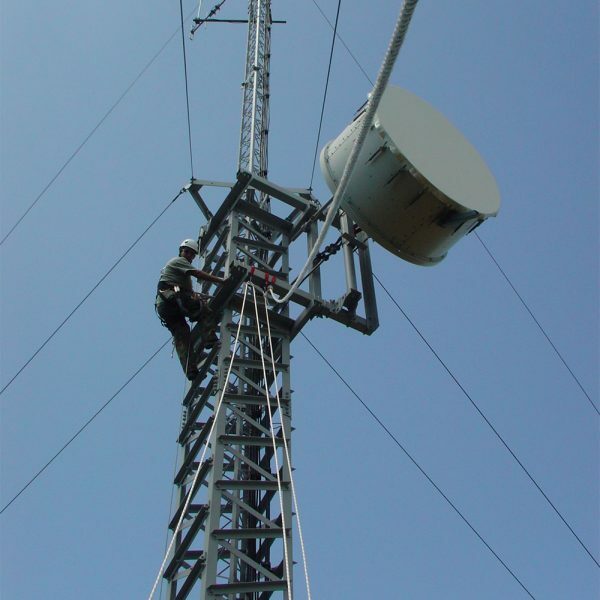 This course aims to revise and assess lifting and installation skills for steelwork and antennas up to approximately 2 m diameter (does not cover man riding system or winches). The course covers legislation, planning and selection of equipment via rigging exercises and assessment at height. This course is not intended to teach the elementary use of fall protection equipment or how to fit and use a safety harness. Please see the Using Height Safety Equipment training course if you require more information on fall protection equipment, equipment care and maintenance and Work at Height regulations. This course is not intended to teach the elementary use of fall protection equipment. It is essential that all candidates are already competent in such use, including understanding how to fit and use a harness, the need for safe connection at all times and the use of energy absorbing lanyard. Candidates will be required to produce suitable valid certification prior to acceptance on course. Minimum age 18. Must be fluent in English.